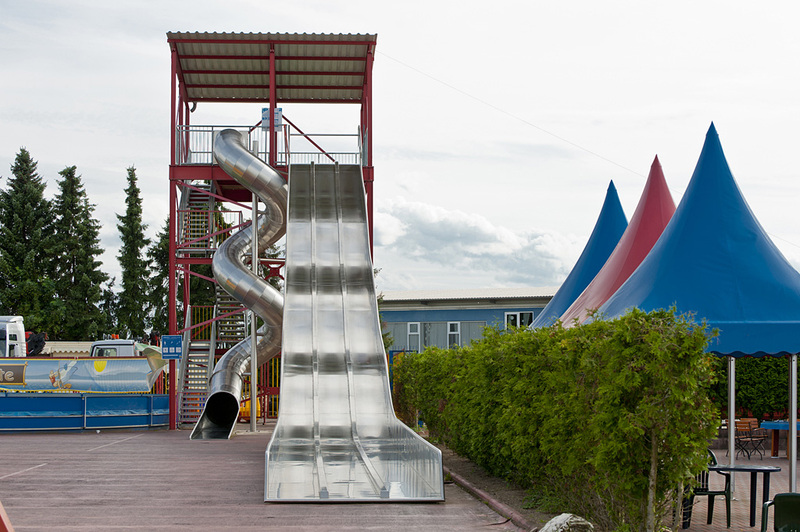 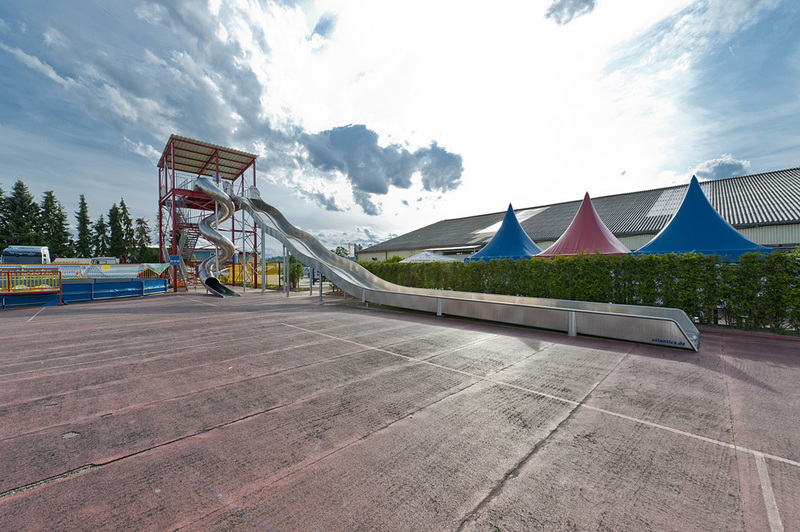 An attraction par excellence – The slide tower at the leisure Park TRAMPOLINO. 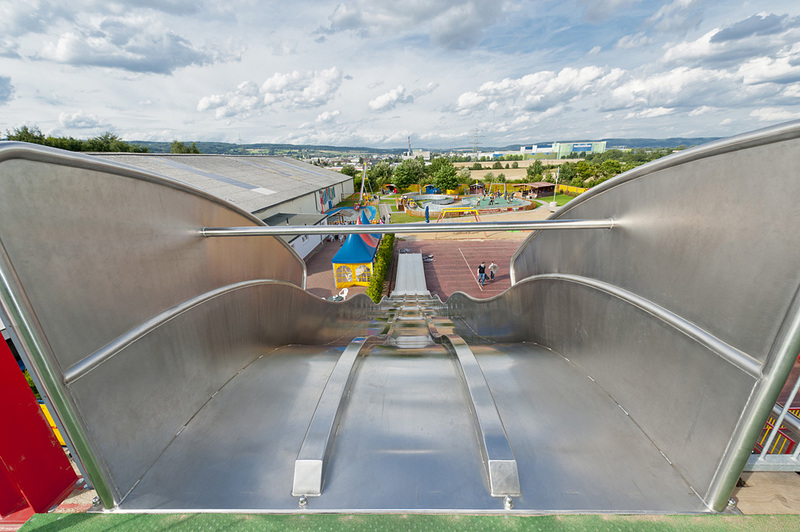 At the leisure park TRAMPOLINO of Andernach / Rhineland-Palatinate amongst others the new broad slide made by atlantics guarantees speedy slide fun. 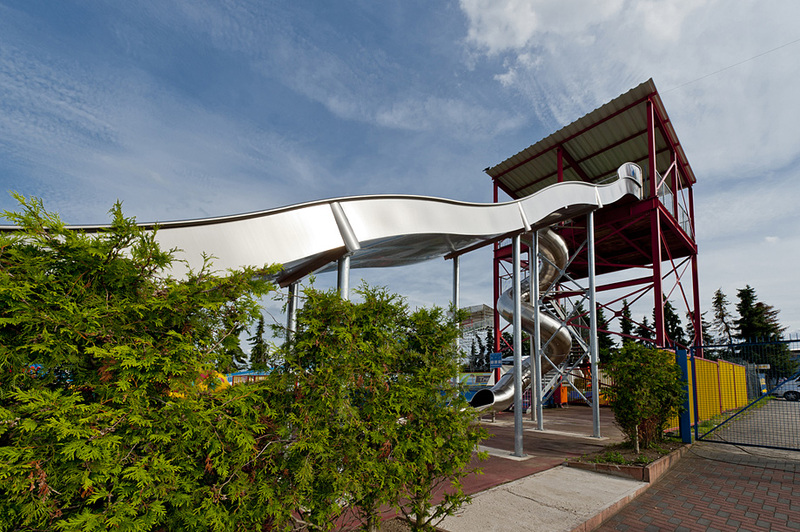 A height of 7.80 metres and the usage of slide mats make it an attraction par excellence.